Interest charges on the Alumni Welcome and Conference Center are accruing at about $565 a day. In a move that could speed the resolution of the UW Oshkosh Foundation bankruptcy case, a federal judge has sent the matter on to the 7th Circuit Court of Appeals despite objections from state lawyers who want to continue the litigation in Wisconsin. ActIng on her own authority and not at the request of either the foundation or the UW System, Chief Bankruptcy Judge Susan V. Kelley certified the case for an appeals decision in an order dated Oct. 5. “The nature of the foundation as a charitable, educational and scientific organization established to support university programs dictates that this Chapter 11 case should be resolved as expeditiously as possible,” Kelley wrote. She noted how the university has needed court approval for the foundation to fund relatively mundane matters, such as a playoff trip by the Titan football team. The tensions between the foundation and the university system have risen as the legal standoff continues. In a filing Oct. 12, the foundation accused university officials of interfering with pledges from donors and of spreading misinformation about the foundation’s future. In addition to legal fees that are rising as long as the bankruptcy case continues, the foundation is incurring other expenses, including costs for financial management services and mounting interest on outstanding debt. 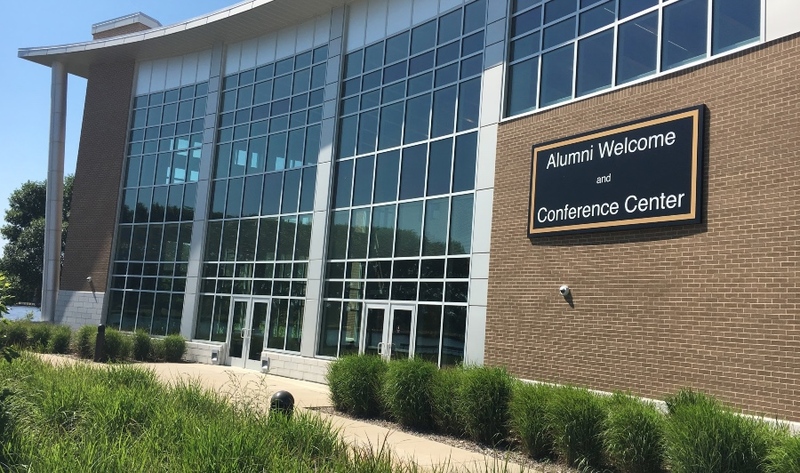 According to a court filing in Dane County, the loan balance on the Alumni Welcome and Conference Center is growing at a rate of almost $565 a day. Kelley ruled Aug. 29 that the UW System had broken legally valid promises to the foundation and would have to pay millions of dollars to resolve the matter. Some of the issues in dispute involve the interpretation of the Wisconsin Constitution, which means they may not be settled until the state Supreme Court issues a ruling. Assuming that both the system and the foundation would want to exhaust all their legal rights, Kelley has consistently said that her plan was to fast-track the decision process. She said she expected that whatever conclusion she reached would be taken by the losing party to the appeals court and then to Wisconsin’s Supreme Court. But the state, which is litigating foundation-related issues in civil and criminal proceedings in both Wisconsin and U.S. courts, wants instead to appeal Kelley’s ruling to the federal district court. This effort initially went off the rails, however, when an assistant attorney general missed a filing deadline. A detour into district court could add months to the resolution of the case and drive up costs for interest, legal fees and financial management services. It’s not clear why the UW System would want to draw out the case. A spokeswoman declined to comment on this point. Even if the state were forced to pay the foundation's claims, it would not come up empty-handed as it would receive two foundation-owned facilities that are part of the campus in return, according to court documents. These structures are the alumni center and the biodigester off of Witzel Avenue. The foundation has also sent mixed signals about its legal strategy, in part because it apparently learned that it had larger than expected claims to settle after the sale of its Rosendale biodigester. Ultimately, however, it decided to push for the case to go to the federal appeals court level rather than go through a district court proceeding, Kelley said. The 7th Circuit is the appeals court that has jurisdiction over federal courts in Wisconsin, Illinois and Indiana.